Reputation is a fragile thing – and once lost, it’s hard to regain. For schools, a bad reputation means losing pupils, and the budget that goes with them, making turnaround even harder. The prescription for failing schools is a fresh start under a new operator. So how quickly does that actually bring children back in? I’ve taken a look at the evidence. China’s “Rainbow wars” are coming to the UK, as rival bike share firms set up – Ofo in Cambridge, Mobike in Manchester, and this week Singapore’s Obike arrived in London. Pay attention, because if China is anything to go by, this is going to be big. There are plenty of reasons to welcome new housing in our neighbourhood. It’s a fundamental human need, and one we’re uncomfortably short of. But here’s one reason you may not have considered – more homes could be just what your local football club needs to gain an edge over its rivals. Here I look at which football clubs have the fastest growing local population, and future fanbase. 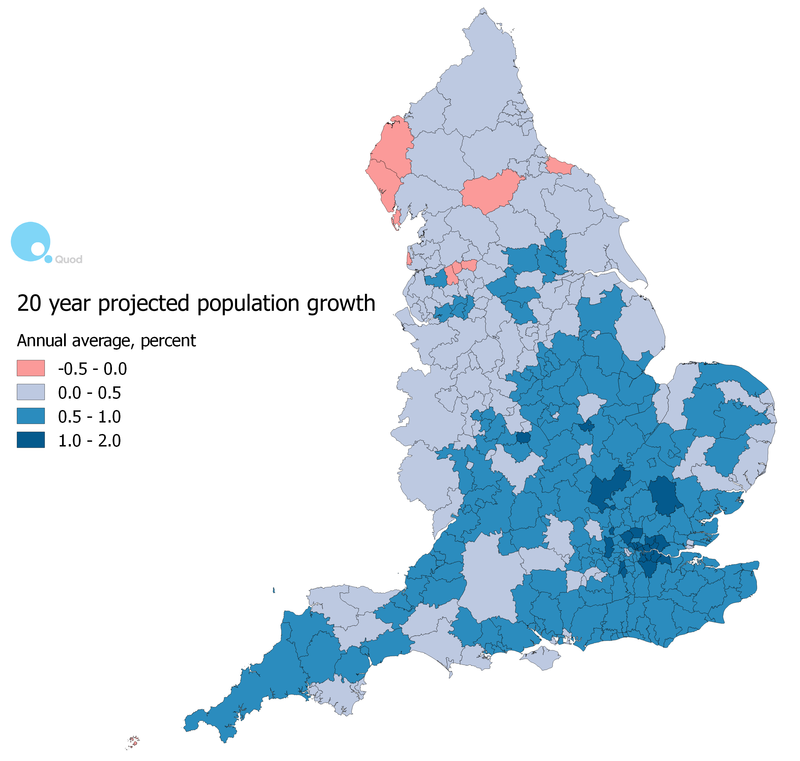 England’s population is shifting further south according to the latest official population projections. The overall population is growing fast, and growing almost everywhere, but the growth is disproportionately in London and the South East. New city boundaries published today by the Office for National Statistics help illustrate the fragmentation of the great cities of the Northern Powerhouse, and highlight the importance of integration. Self-driving cars are coming, and a very good thing too – trying to steer them ourselves has killed tens of millions. But what unintended consequences might they have? It’s rash to predict, but how about: new jaywalking laws, the end of parking meters, and a desperate need for congestion charging. What role for Garden Cities? London is growing by 100,000 people a year, and the next Mayor needs to double housebuilding. It’s tough finding space to do that within London. 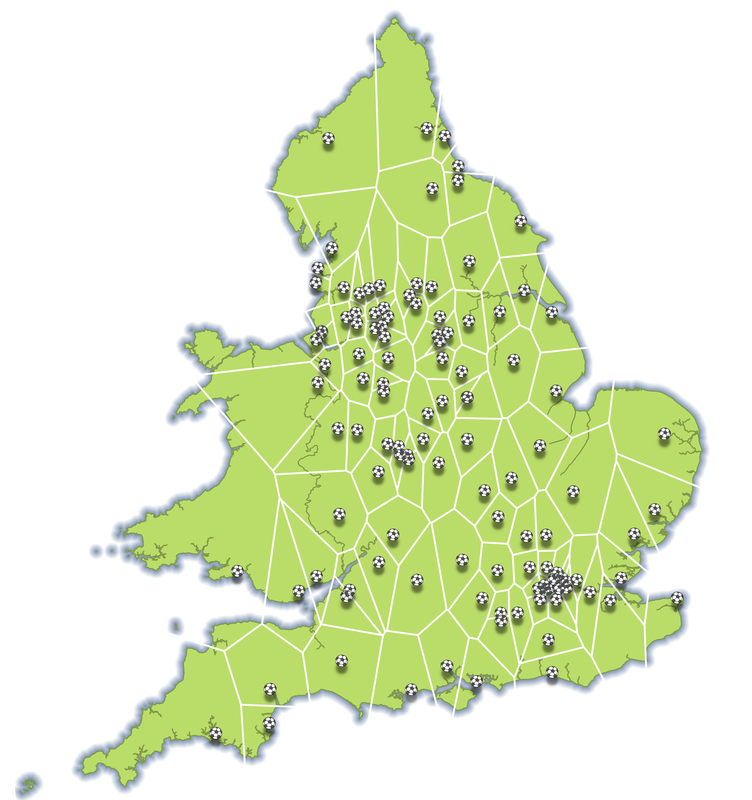 Could new or expanded towns outside London take some of the strain? A new report by Quod with homelessness charity Shelter finds they could help, but cannot be the only answer. Up or Out? How is London going to grow? Many planned new towers have prompted a backlash from some wishing to preserve London’s skyline. But is London’s self-image as a low-rise city really justified? Quod’s report with homelessness Charity Shelter uses new analysis to look at how tall London really is. In the debate about London’s housing shortage, Brownfield is often talked of as if there were vast swathes of unused land waiting to be reclaimed. The truth is, almost all London’s land is already used for something, and changing its use is slow, expensive and hard. Brownfield must deliver much of the housing London needs, but a new report by Quod and homelessness charity Shelter finds that brownfield will not be enough, and urges the next mayor not to rule out other approaches. TfL’s planned Westway cycle route shows better than anything why the Mayor should be given control of more of the boroughs roads. A red-route network intended for “strategic” traffic looks increasingly out-of-date in an age of cycling.